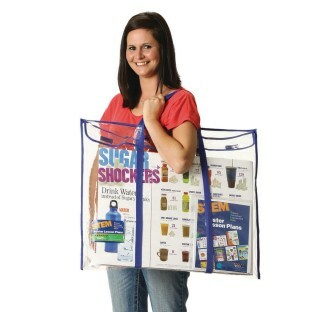 Terrific visual aid for healthy eating! 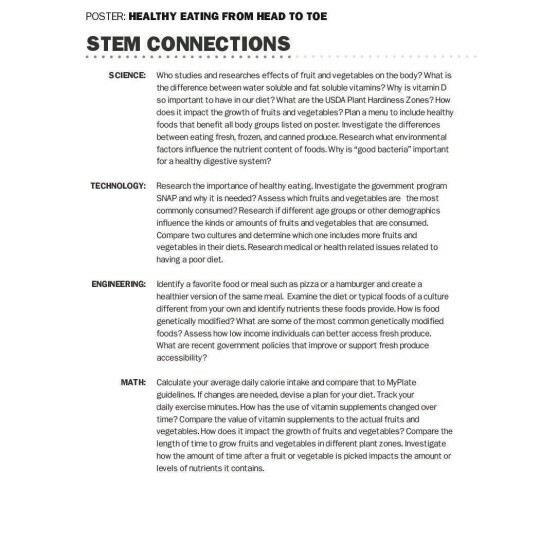 Challenge students with inquiry-based lessons that encourage STEM critical thinking skills about a variety of nutrition topics. 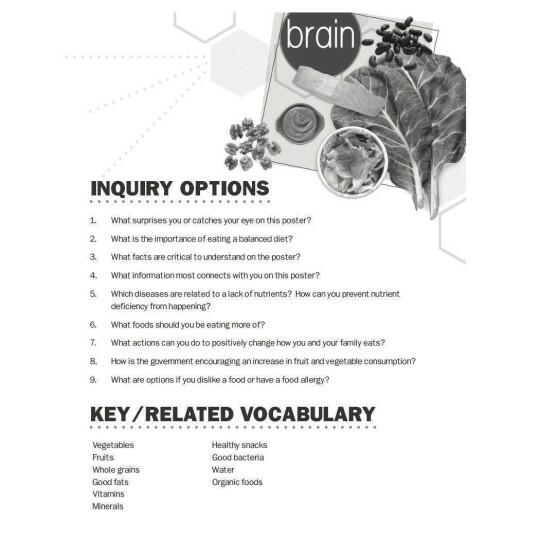 Problem-based learning lessons pose thought-provoking questions applied to the four STEM categories on each poster, additional inquiry questions and key/related vocabulary for each topic. 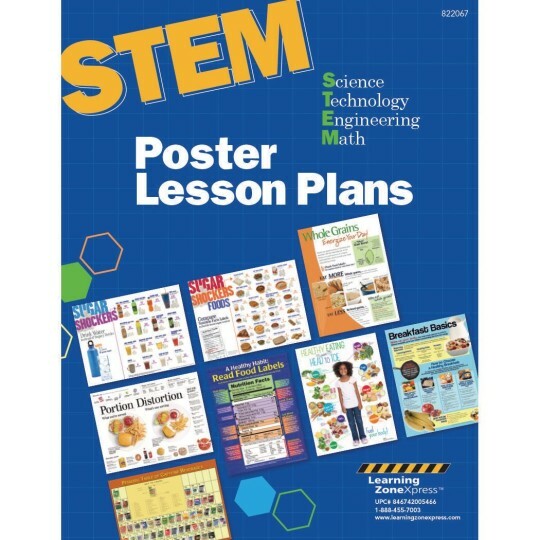 Includes eight 18" x 24" poster lesson plans. Topics are: Sugar Shockers, Sugar Shocker Foods, Breakfast Basics, Kids Healthy Eating from Head to Toe, Read Food Labels, Portion Distortion, Whole Grains and Periodic Table of Caffeine - all in a reusable tote for carrying and storage.